The DIYLILCNC V1 was made possible through generous support in the form of funding and facilities from the School of the Art Institute of Chicago. Special thanks go to Chad Gerth, the Computing Resources and Information Technology Dept. (CRIT), Brian Stansbury, and the Architecture, Interior Architecture, and Designed Objects (AIADO) Department at SAIC. Taylor Hokanson is an artist, educator, and CAD/CAM (Computer-aided Design and Manufacturing) evangelist. Like the digital media at the center of his research, Hokanson’s practice blurs the boundaries between conceptual art and the hard sciences. He frequently works with hacked electronics, changing the function of common consumer gadgets so that they become alien and unfamiliar. His Sledgehammer-operated Keyboard is a popular example: in changing the scale, material and interface of a common device, Hokanson asks the user to reconsider a communicative medium devalued by ease of use. Chris Reilly is a Los Angeles-based artist, writer, hacker and teacher. He received his BFA with a focus on New Media from the School of the Art Institute of Chicago in 2006. 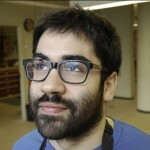 Chris is currently employed as a mobile game developer at 3CD, an author at Lynda.com and a teaching and research assistant at UCLA’s Design|Media Art department. Since 2003, Chris has shown work in several solo and group art exhibitions in the US and Europe; he works with modded video games, virtual/augmented reality, scripting/programming and kinetic sculpture. 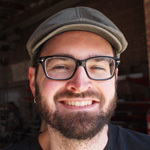 Chris wears many hats professionally: mobile game developer; web programmer; digital fabrication specialist; small business owner; open-source hardware/software developer. All of the custom-fabricated components of the DIYLILCNC V1 were made in the Advanced Output Center and Sullivan Fabrication Studios. Learn more about digital output and the amazing resources available at SAIC on our blog, Axis of Output. Creative Commons-licensed icons used on diylilcnc.org were designed by Mark James. Social Media Bookmark Icons by ~nouveller.